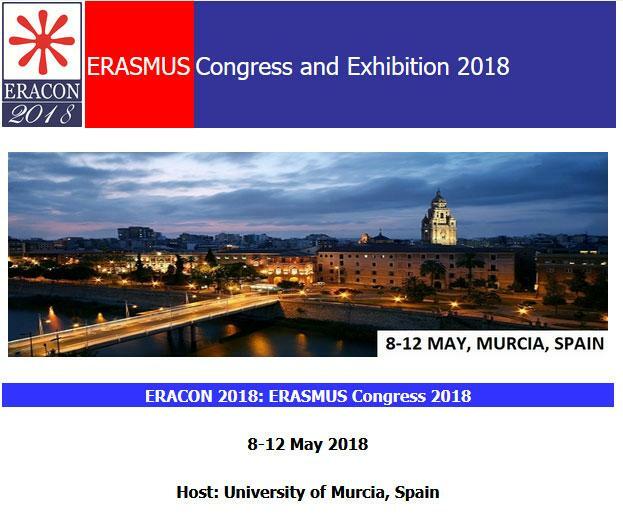 Time to submit a presentation, workshop or session in one of the themes of the ERACON Congress. Abstracts should be sent to programme@eracon.eu, following the instructions for preparation abstracts. Sessions, Worksops, Roundtables are welcome! Send your proposal to programme@eracon.eu with an abstract for the Session or Workshop or Roundtable with full contacts. Approved proposals will be communicated and puplished. Exhibit your university for networking and meet colleagues for developing new exchange and cooperation agreements between your institutions. The GO-Exchange Education Fair runs within ERACON, during which each University could provide information to other Universities on the programmes offered and arrangements for academic and student mobility, as well as Erasmus+ Student Placements and staff training opportunities. 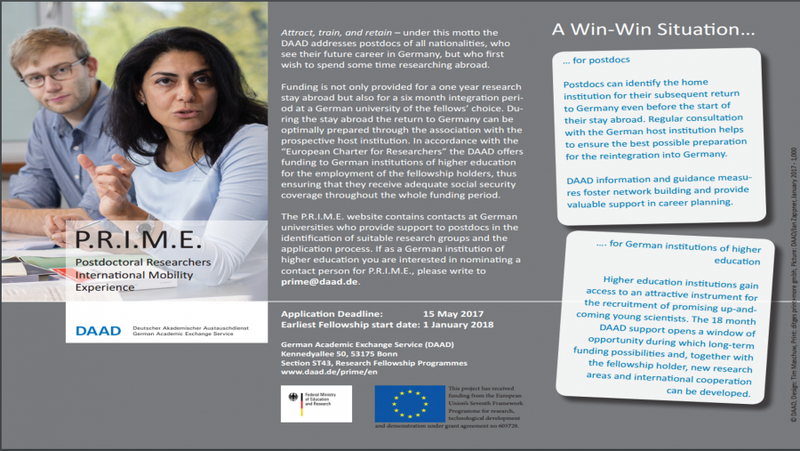 The Fair is expected to serve also as a basis for developing cooperation between EU and NON-EU Universities for supporting international mobility. European Enterprises are also invited to promote cooperation for Erasmus+ Placements and Internships and other actions under Erasmus+. The GO-Exchange Fair will take place in the afternoon of 9 May 2018. From the 6th to the 8th of March, the University of Porto will welcome around 20 participants from European, Brazilian and Argentinian institutions to launch the project "Rec-Mat: Recognition Matters". The Kick-off meeting marks the start of the project funded by the European Commission for the next 3 years (until 2020), through the Erasmus+ programme’s action 2 Capacity Building Higher Education. Partners will work in the field of academic recognition, with the objective of contributing to facilitate the mobility of students between Latin America and Europe and reduce barriers related to the process of academic recognition. The 648,228 thousand euros of funding for the project will support activities and joint work of the partners, so as to enable Higher Education Institutions to implement fairer and more transparent processes in these regards. The Rec-Mat project is based on the vast experience of partners in the LA region, and the challenges identified over time, in relation to different Educational Systems, principles, practices and tools to support of academic recognition. The project brings proven innovation through its activities, linking the political and practical dimensions inherent to the recognition of academic training, during student mobility (teaching staff training activities, piloting of case studies and policy debate activities). Rec-Mat’s methodology is also original in the proposed target audiences and actors involved: not only the International Relations and Academic departments, but also professors (coordinators and programme directors), authorities identified as key decision makers in the process of recognition, as well as IT technical staff involved in developing support tools/information systems. Through the project’s implementation, partners also intend to raise awareness among teaching staff for the importance of full academic recognition as well as for the relevance of the internationalisation of HE, through a peer approach. These objectives will be achieved through the project activities, such as the Rec-Mat blended training with a physical and online component (MOOC) which aims to bring together Latin American professors who are ‘resistant&apos; to the reality of international mobility and distant from the bologna rationale - with more experienced and ‘pro-internationalisation’ colleagues of its institutions as well as of the European partners. In addition to training activities, in the context of the project real mobility pilot case studies will be promoted, with the goal of evidencing successful practical examples. The partners intend to so build capacity of the involve institutions, to prepare them to frame formal academic recognition, at institutional level as well as to develop concrete technical solutions (tools/systems), to facilitate this process. Through the publication of a final compendium and the organisation of national and international public events, partners intend to also bring the topic to a wide discussion by encouraging other institutions to adopt more transparent procedures and to share the innovative results of the Rec -Mat project (namely the MOOC, the compendium and its conclusions paper). Within the scope of the NutriSEA Project (Erasmus+ Capacity Building for Higher Education), U.Porto hosted from 27th to 31st of March the second training sessions on Internationalisation and Pedagogics. The former was targeted at 10 staff members from the International Office of six different Higher Education Institutions from Cambodia, Myanmar and Vietnam. It included training in several relevant topics such as international projects’ financial management, local management of international cooperation activities, institutional agreements for the development of cooperation, modernization and innovation using digital tools, among others. The latter was targeted at six academic staff members of six Higher Education Institutions from the same countries and counted with the collaboration of several internal and also external trainers. The agenda included sessions such as “Building multiple-choice questions – Basic principles”, “Educational Technologies, Google Classroom and other platforms”, “Quality assessment of multiple choice exams”, “Teaching strategies for large classes”, among others. This was also the opportunity for the NutriSEA participants to network with Higher Education Institutions’ representatives from all over the world, as the trainings were held simultaneously with one further edition of the U.Porto InterWeek. The NutriSEA project aims to build human resources capacity to ensure a sustainable food value chain model based on entrepreneurship and creating added value to the natural resources supporting food production in Southeast Asia (Vietnam, Cambodia and Myanmar). Furthermore the project aims to enhance university-enterprise cooperation as well as regional and (inter)national cooperation and networking. If you want to feel at home during your research visit to Cusco, you are most welcome at USIL. In addition to the above described free of cost Network membership, we optionally offer qualified tutorship/supervision for your research project by one of our professors, for payment. Your file will be evaluated by the USIL academic authorities and you will receive a letter of acceptance. Please find here our Staff Training Course offer for next June. Kindly share it with your Colleagues and Partners as long as it might be of their interest. 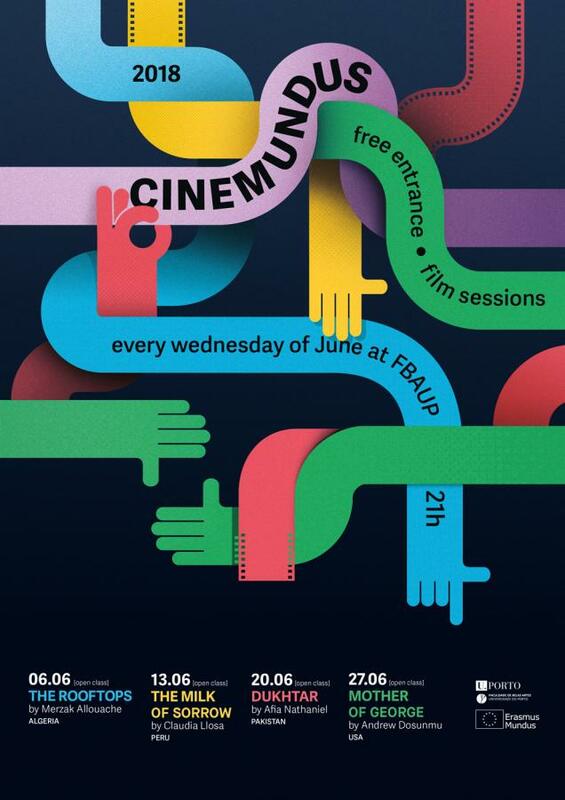 We have composed three programmes full of variety - there will be workshops, group events, tours, presentations, sportive activities, and of course time to connect and network. How to participate? Our application phase for the International Week 2017 has begun and we will accept registrations until March 17th 2017. Please visit our website for more information and necessary documents. 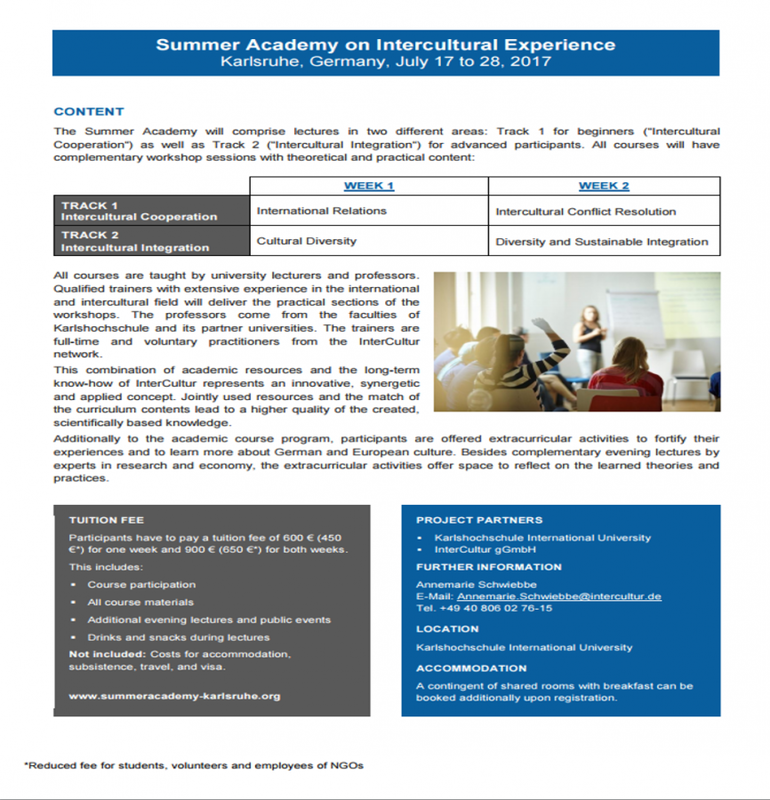 If you would like to apply for participation, please download the application form from the website and send us the completed version via email to gesa.heym-halayqa@fu-berlin.de. Please note that the selection of participants will be done no earlier than the middle of April 2017, after we have closed the application phase. You will receive confirmations of participation from us in the middle of April. In case of questions, remarks, or other issues, please do not hesitate to contact me via this email address: gesa.heym-halayqa@fu-berlin.de. We are looking forward to receiving your registration and to welcoming you to our institution in June for an interesting and fun International Week 2017!